ACE certified personal trainer and fitness expert Franklin Antoian is so committed to his clients, he is now available to them 24/7: online! 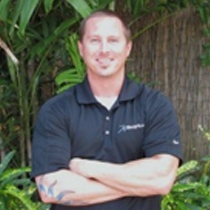 The owner and founder of iBodyFit.com, Franklin helps clients reach peak levels of physical fitness through both in-home and online personal training sessions. “I genuinely love getting people fit and healthy,” he says. This passion not only prompted Franklin to become a personal trainer, but to found his website and pen “The Fit Executive” and “Top Ten Ab Exercises,” as well as additional articles on health and wellness. Personal training isn't the only way Franklin spreads his knowledge of health and wellness either. He also schools clients on basic nutrition know-how, as he believes the two go hand in hand. From what snacks to eat to what vitamins need supplementing, Franklin has a wealth of knowledge on nutrition and health, and is ready and willing to share.